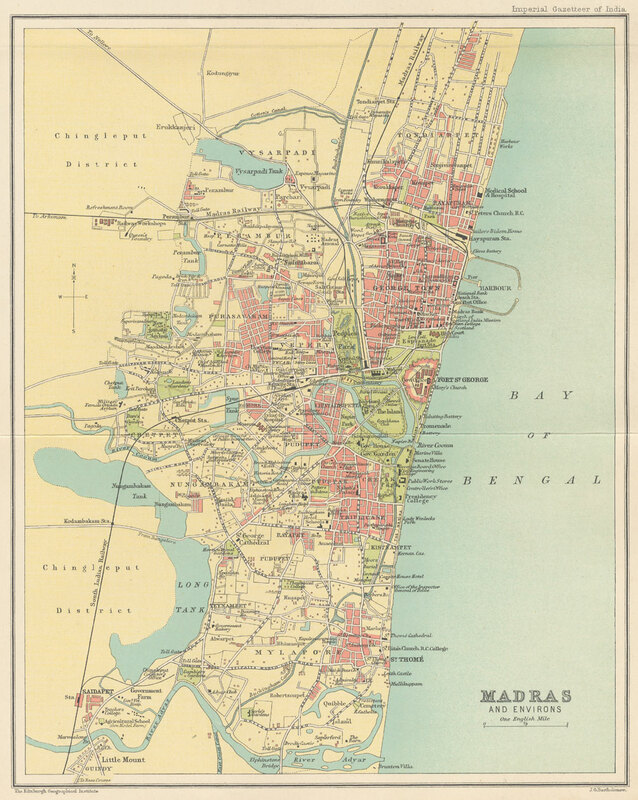 Imprint: Imperial gazetteer of India. 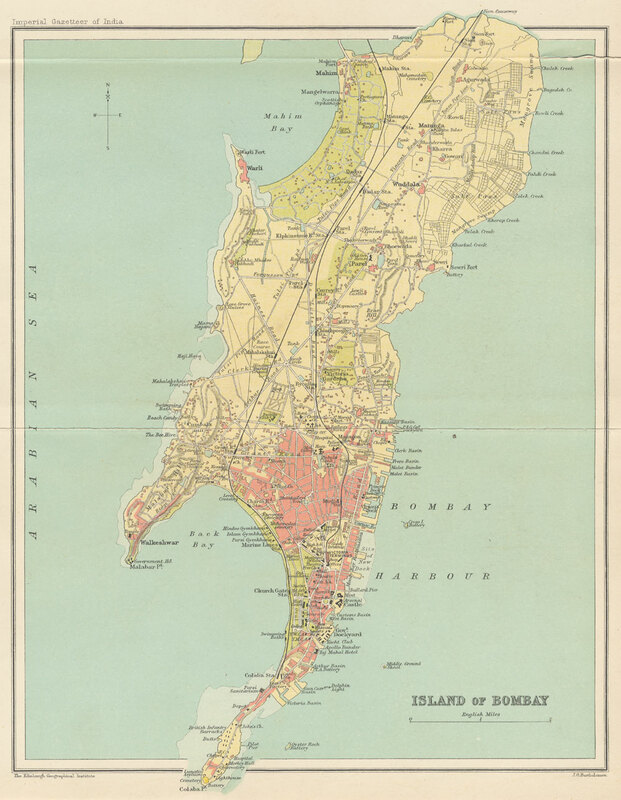 New edition, published under the authority of His Majesty's Secretary of State for India in Council. Oxford: Clarendon Press, 1907-1909. All volumes, inside front cover. Scale: 1:10,000,000. 1 in. to 157 miles. 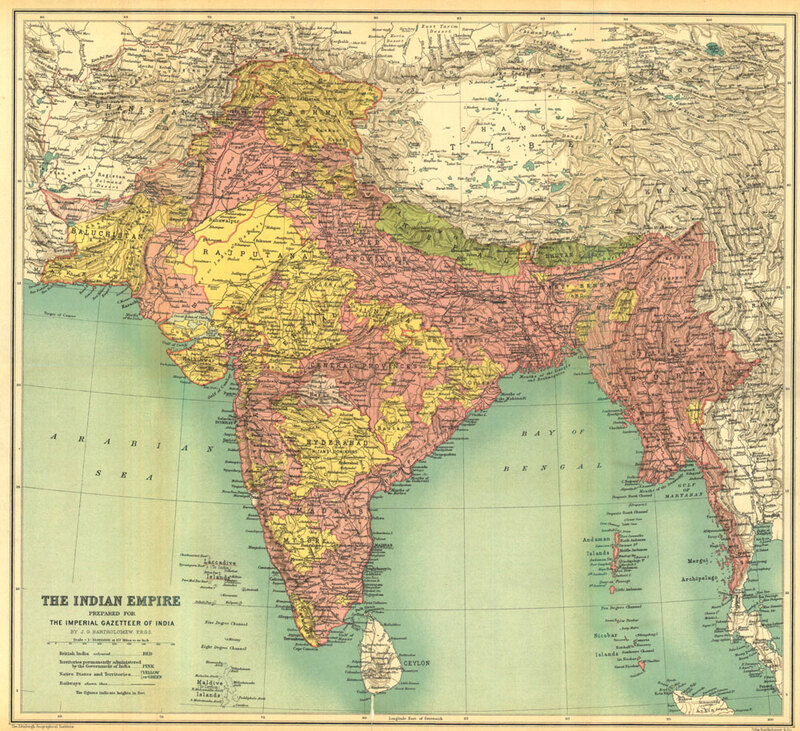 Notes: British India, colored red. 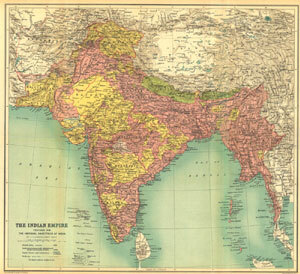 Territories permanently administered by the Government of India, colored pink. Native States and Territories colored yellow or green. 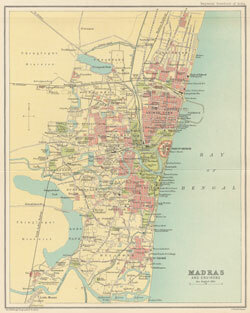 A larger version is available by clicking on the map above. Volume 5, opposite page 64. Scale: 1:6,000,000. 1 in. to 94.6 miles. Volume 6, opposite page 336. 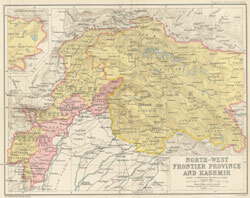 Notes: Native States colored yellow. Volume 7, opposite page 64. 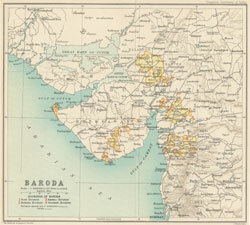 Notes: Divisions of Baroda: 1. 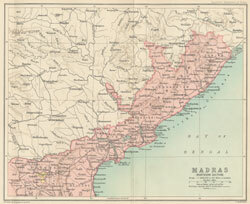 Kadi Division, 2. 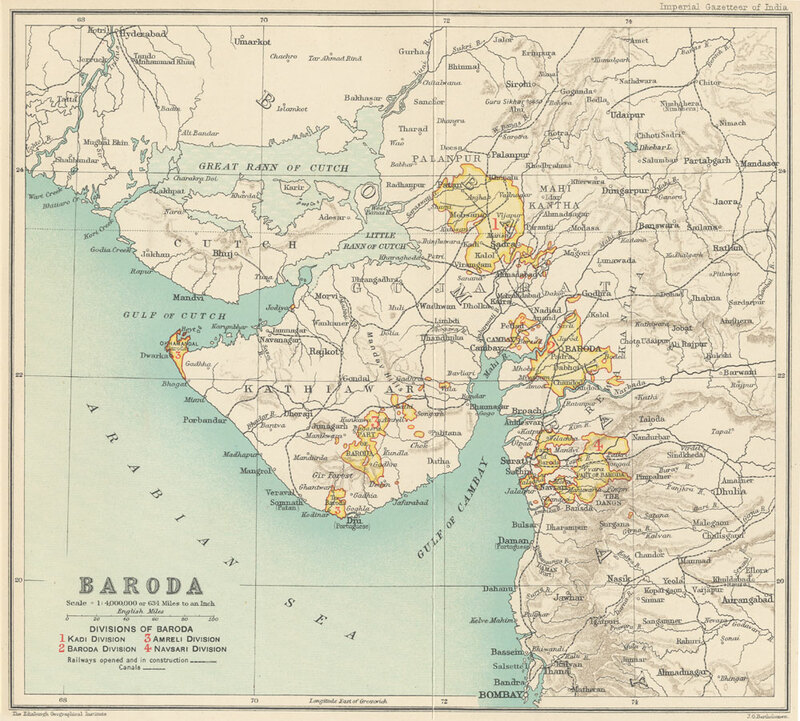 Baroda Division, 3. 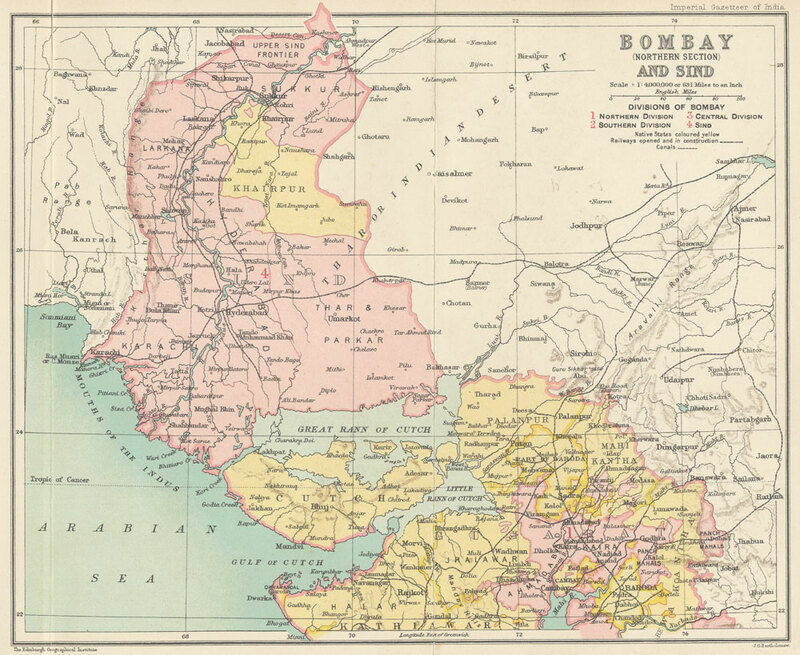 Amreli Division, 4. 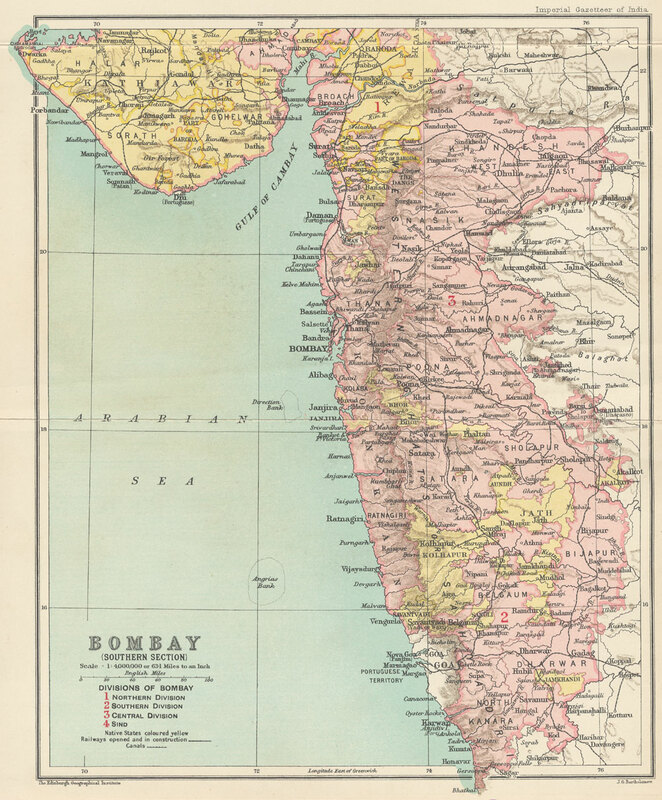 Navsari Division. Volume 8, opposite page 384. Scale: 1:4,000,000. 1 in. to 63.1 miles. 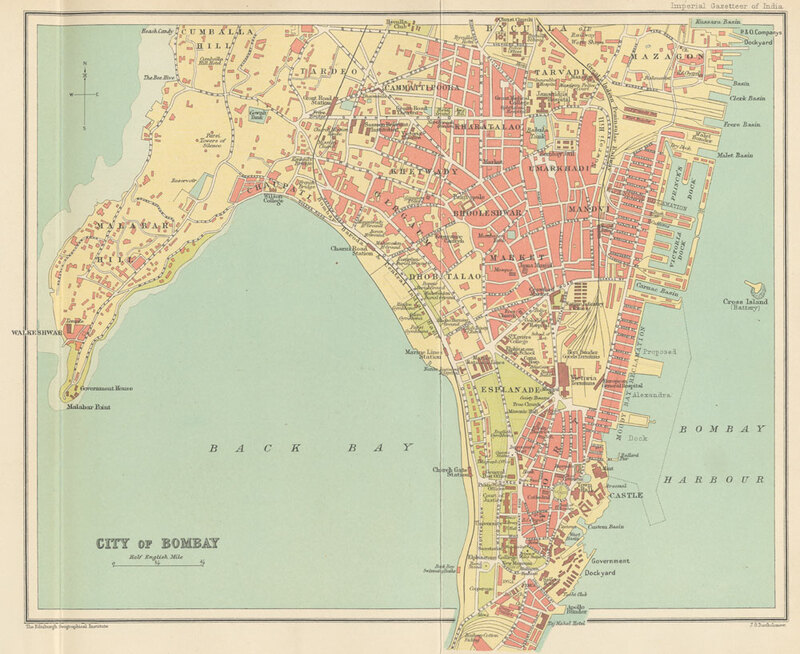 Notes: Divisions of Bombay: 1. Northern Division, 2. Southern Division, 3. Central Division, 4. Sind. Volume 8, inside back cover. Scale: 1 in. to .4 miles. Scale: 1 in. to 1.1 miles. Volume 9, opposite page 240. 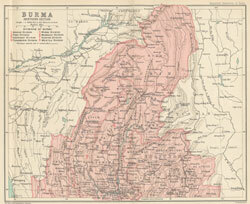 Notes: Divisions of Burma: 1. 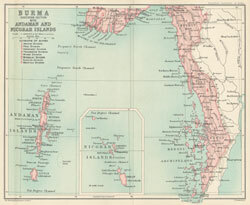 Arakan Division, 2. 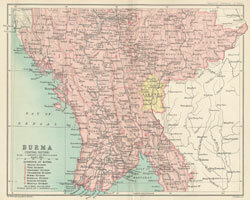 Pegu Division, 3. 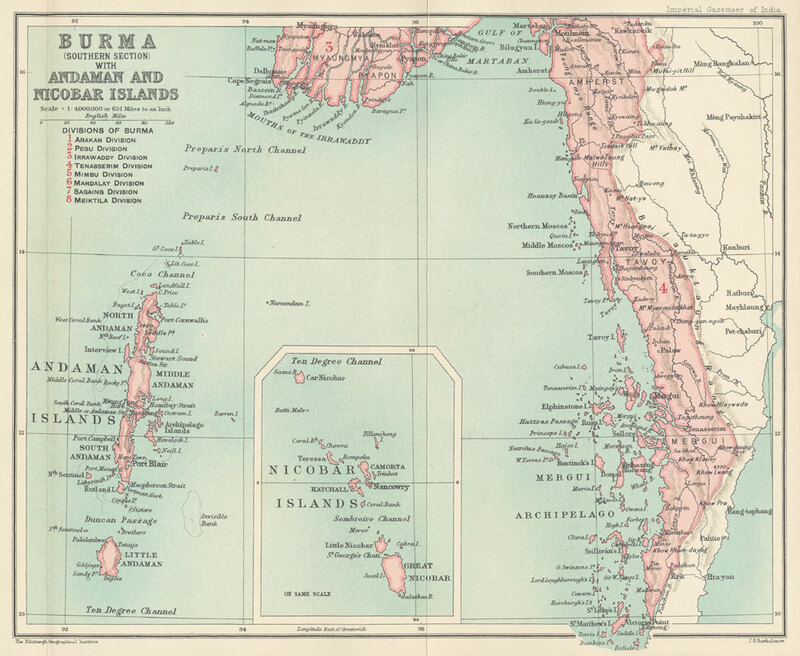 Irrawaddy Division, 4. Tenasserim Division, 5. Mimbu Division, 6. Mandalay Division, 7. Sagaing Division, 8. 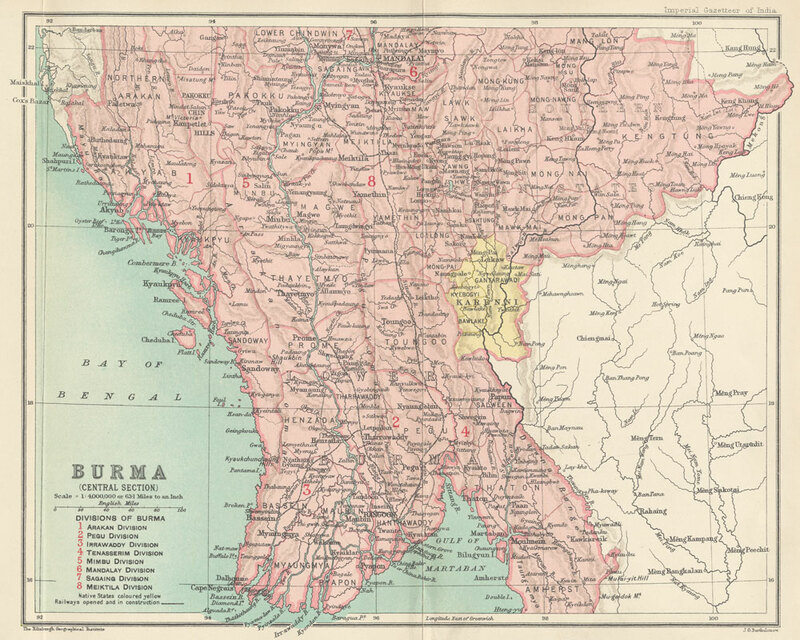 Meiktila Division. Volume 9, opposite page 288. Scale: 1 in. to 6 miles. Scale: 1 in. to 1 mile. Volume 9, opposite page 392. 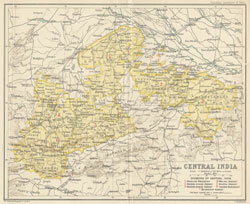 Notes: Divisions of Central India: 1. Gwalior Residency, 2. Bundelkhand Agency, 3. Baghelkhand Agency, 4. Malwa Agency, 5. 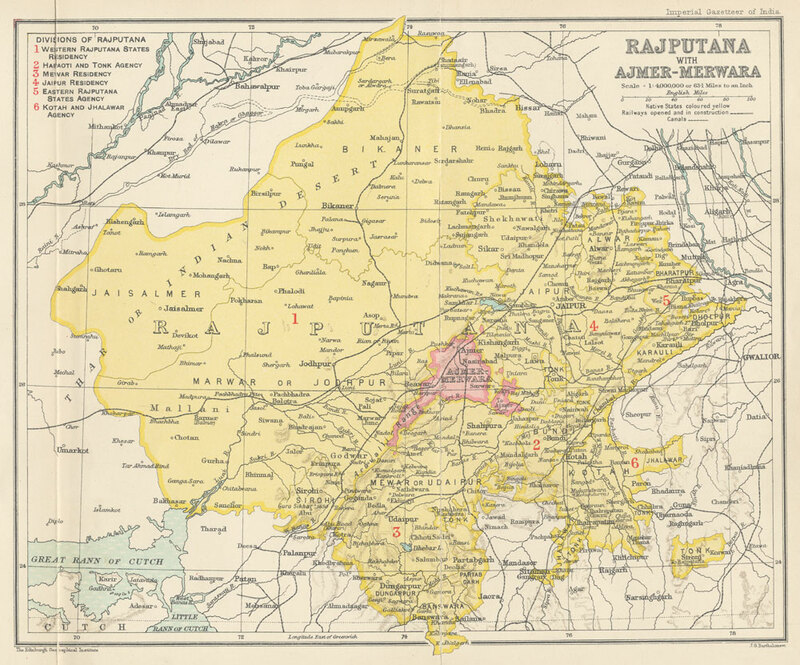 Bhopal Agency, 6. Indore Residency, 7. Bhopawar Agency. Volume 10, opposite page 112. 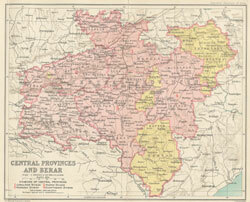 Notes: Divisions of Central Provinces: 1. Jubbulpore Division, 2. Nerbudda Division, 3. 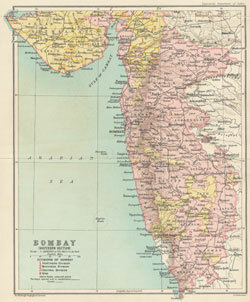 Nagpur Division, 4. 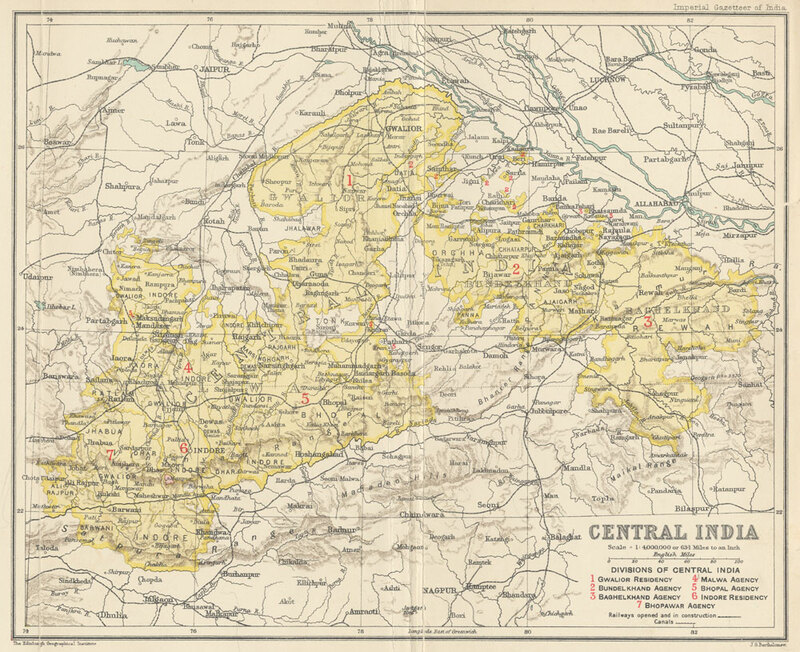 Chhattisgarh Division. 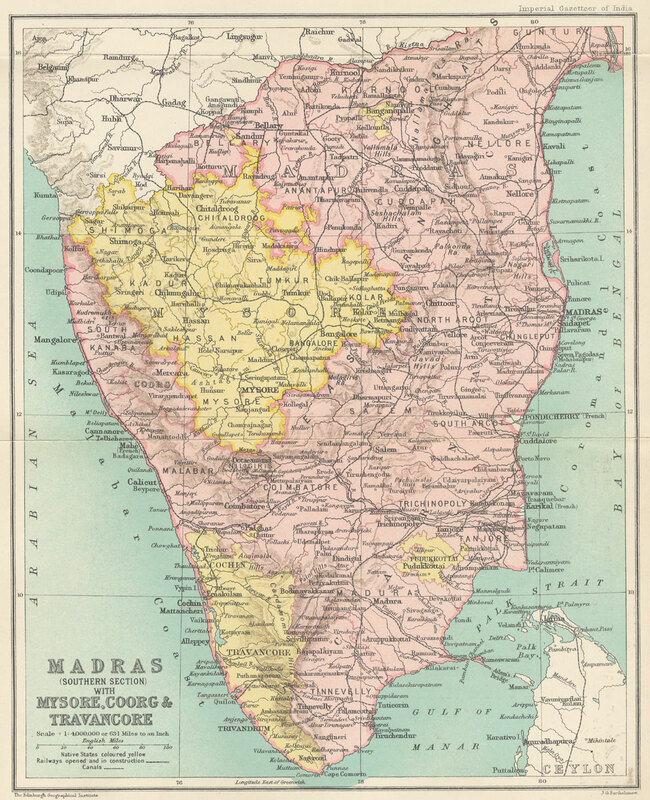 Native States colored yellow. Volume 11, inside back cover. 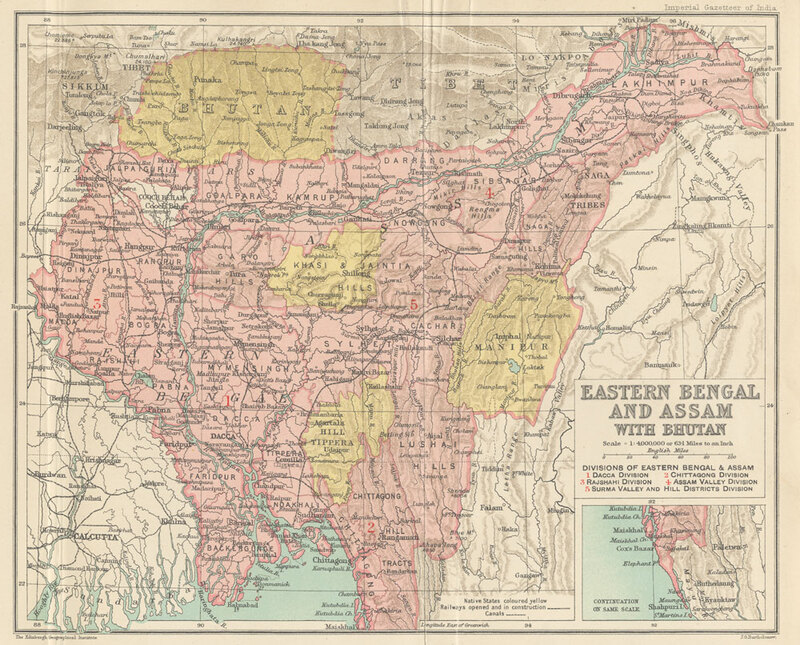 Notes: Divisions of Eastern Bengal and Assam: 1. 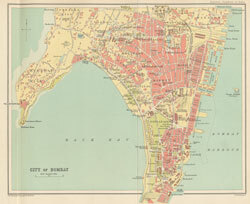 Dacca Division, 2. 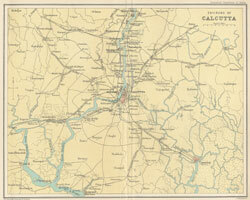 Chittagong Division, 3. Rajshahi Division, 4. 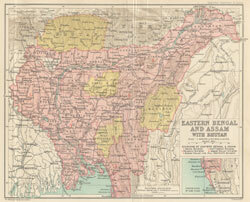 Assam Valley Division, 5. 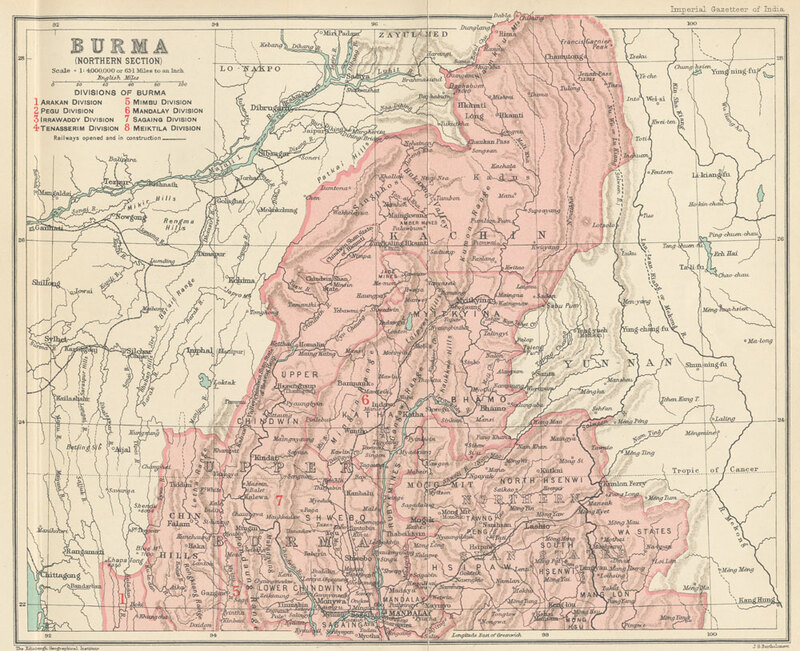 Surma Valley and Hill Districts Division. Volume 13, opposite page 304. 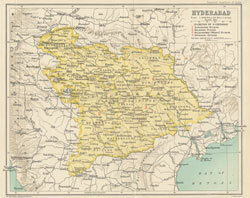 Notes: Divisions of Hyderabad: 1. 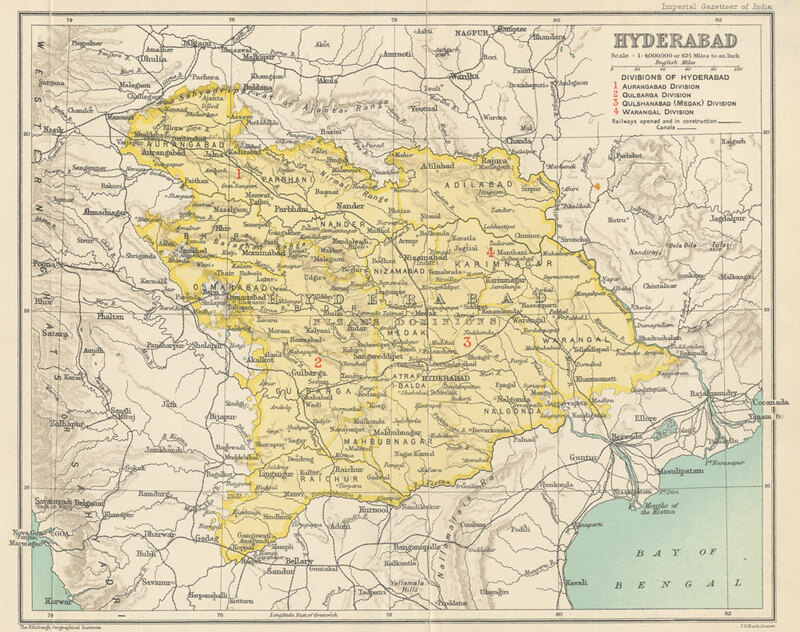 Augangabad Division, 2. 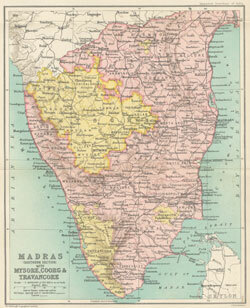 Gulbarga Division, 3. Gushanabad (Medak) Division, 4. 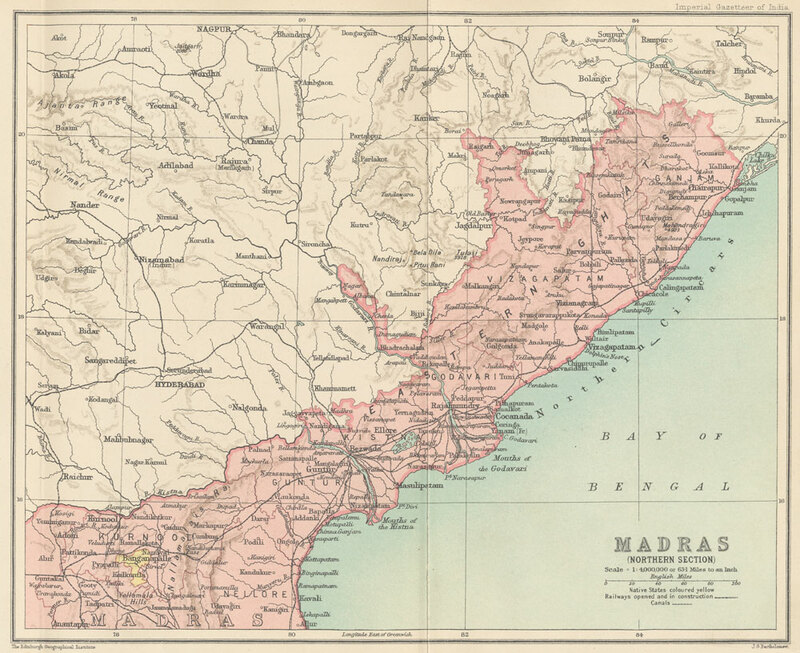 Warangal Division. Volume 16, opposite page 378. Volume 18, opposite page 250. Volume 19, opposite page 42. Volume 19, opposite page 218. Volume 20, opposite page 394. 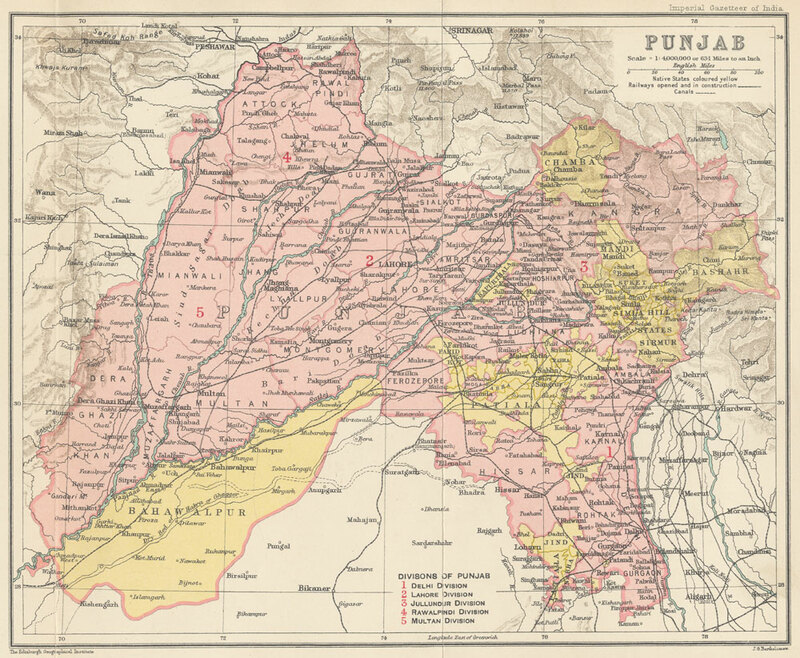 Notes: Divisions of the Punjab: 1. 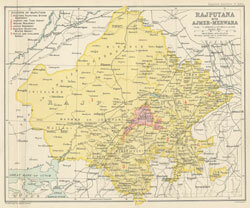 Delhi Division, 2. 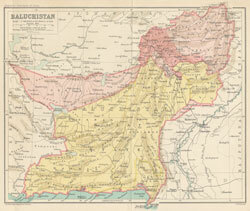 Lahore Division, 3. 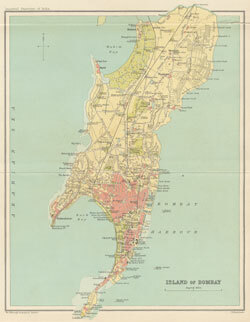 Jullundur Division, 4. 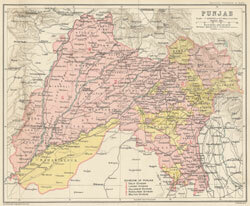 Rawalpindi Division, 5. 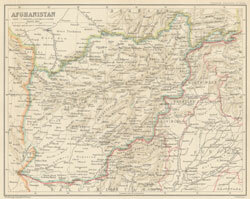 Multan Division. Volume 21, opposite page 154. 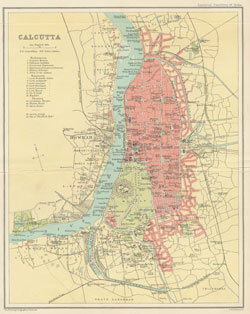 Notes: Divisions of Rajputana: 1. 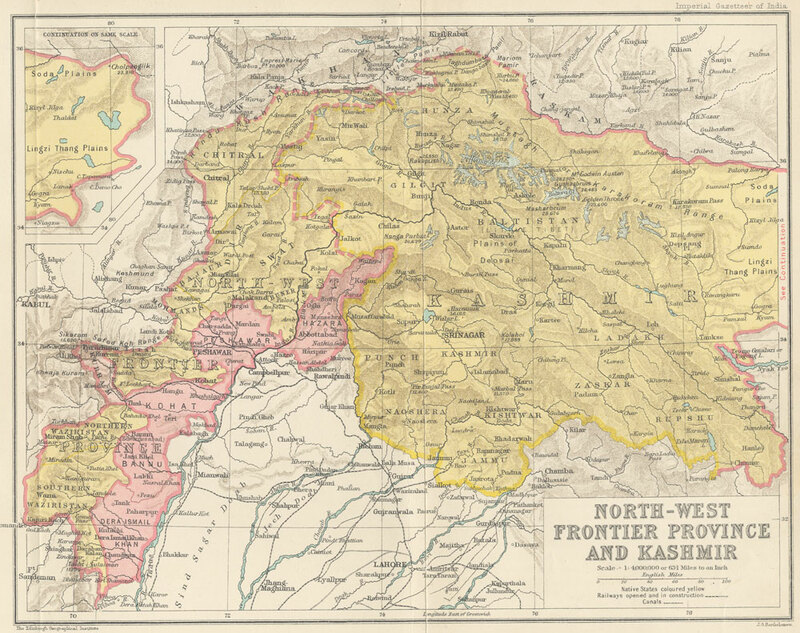 Western Rajputana States Residency, 2. Haraoti and Tonk Agency, 3. Mewar Residency, 5. 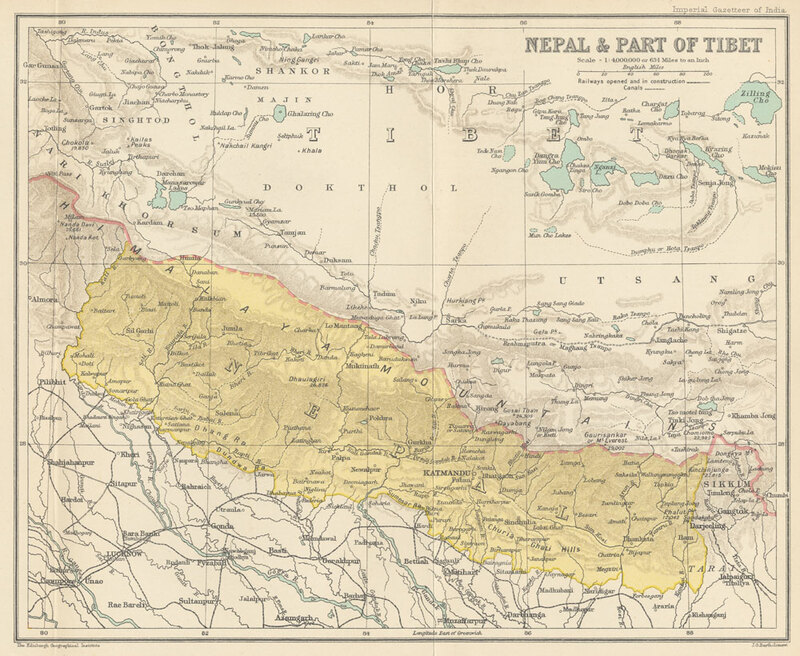 Eastern Rajputana States Agency, 6. Kotah and Jhalawar Agency. Volume 24, opposite page 250. 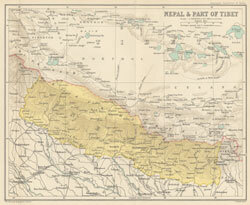 Notes: Divisions of Agra: 1. 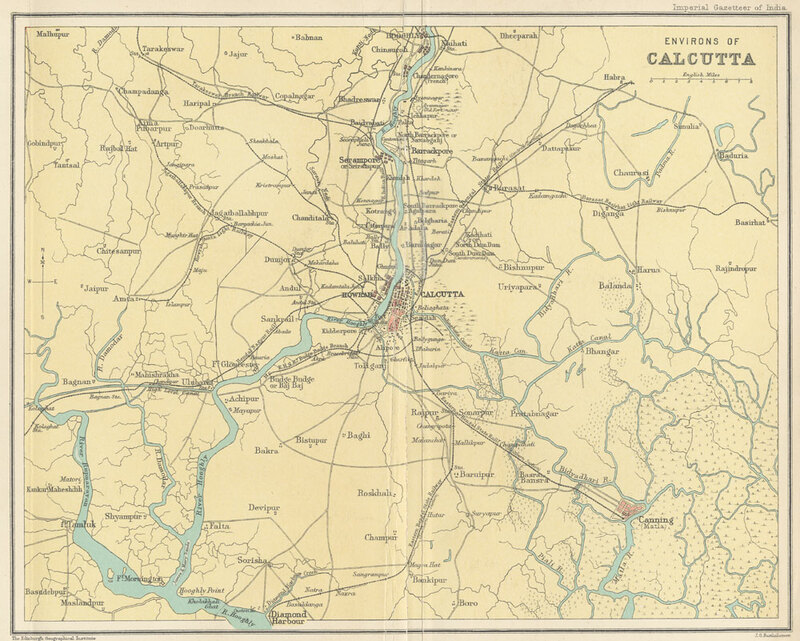 Meerut Division, 2. Agra Division, 3. 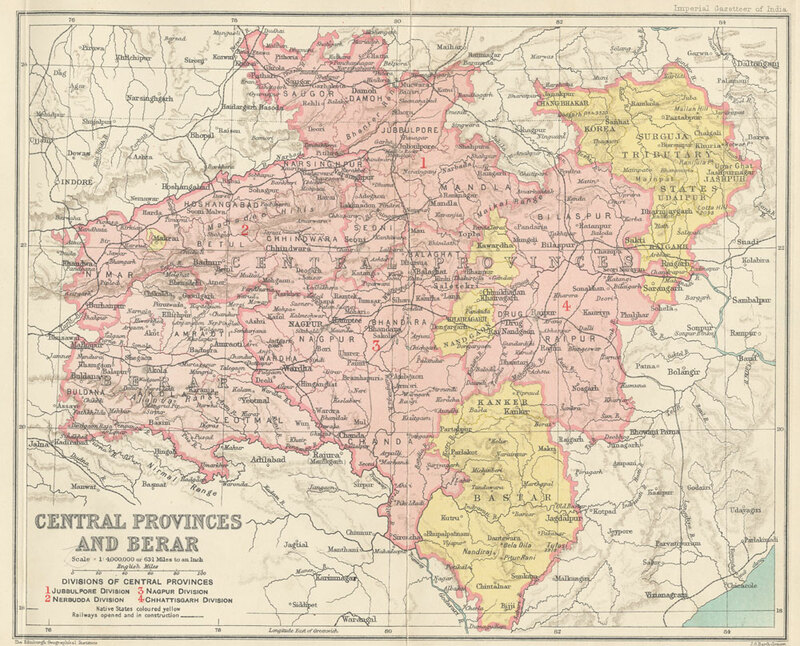 Bareilly Division, 4. Allahabad Division, 5. 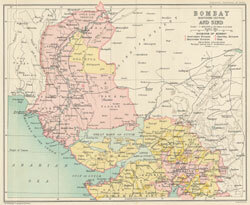 Benares Division, 6. Gorakhpur Division, 7. 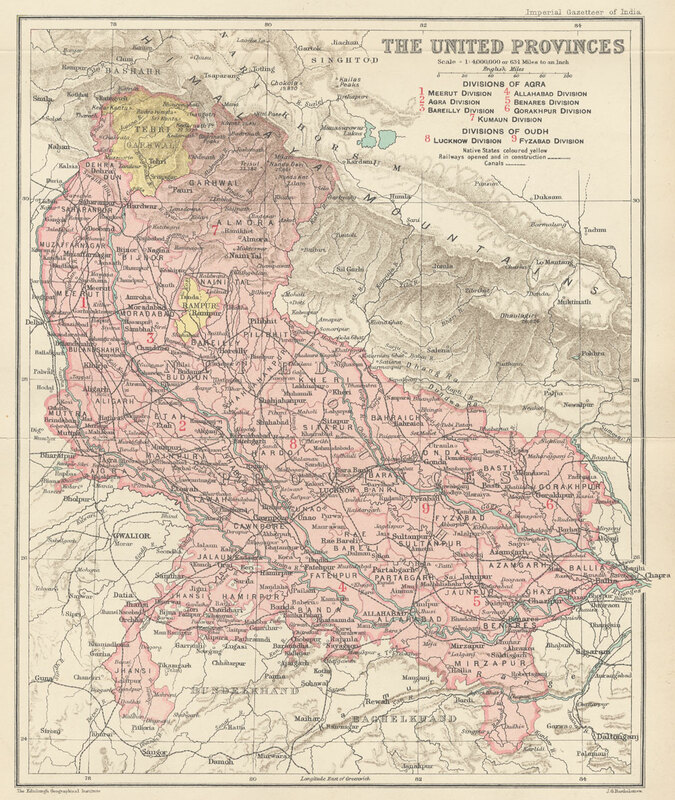 Kumaun Division. 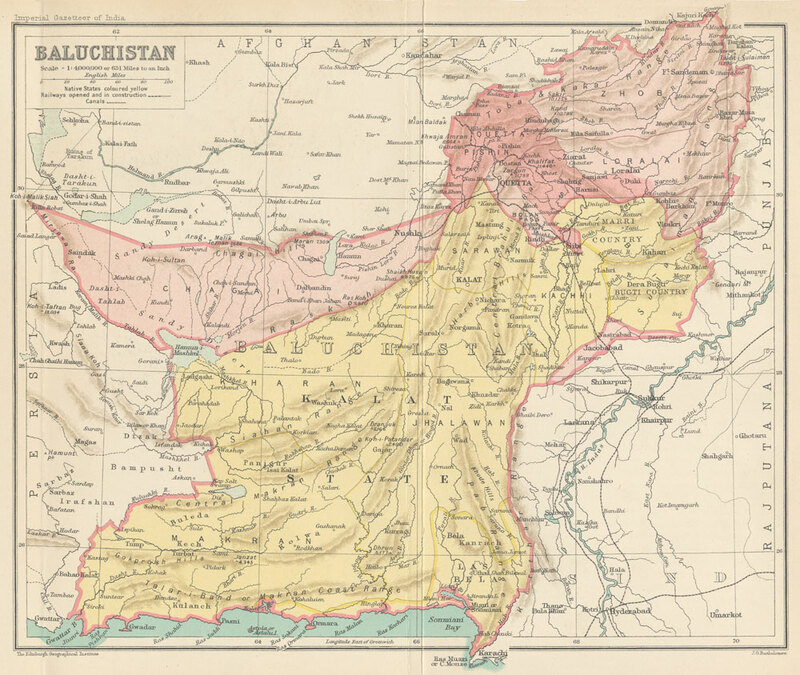 Divisions of Oudh: 8. 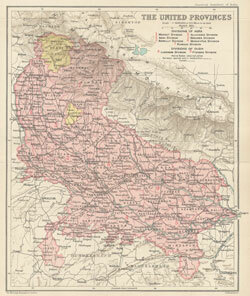 Lucknow Division, 9. 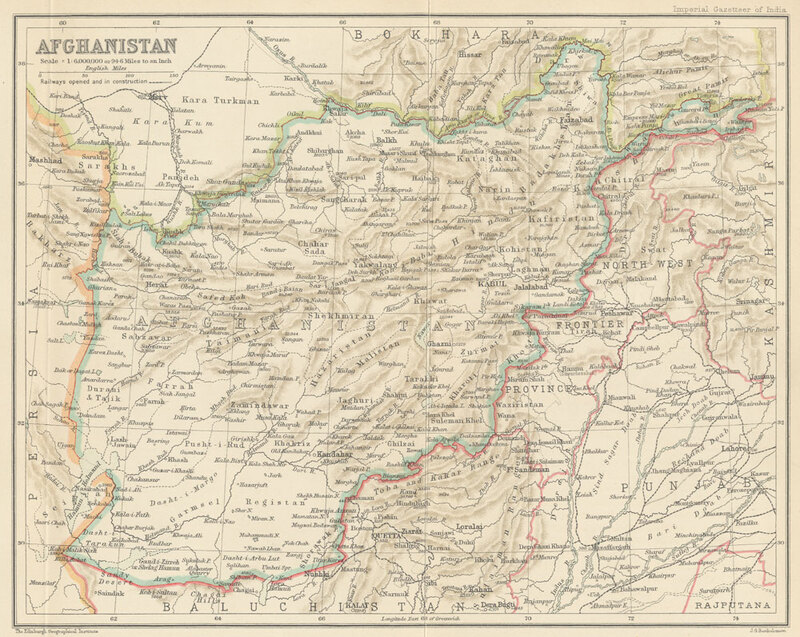 Fyzabad Division.